Meet Ashley Force's Little Sister- Courtney- the Newest NHRA Drag Racer in the John Force Family! John Force is a character, always moving, fiddling, nervous, and the like....so having a second daughter drag racing must be giving him anxiety. We all know how he felt about Ashley from watching the A&E series that was on a couple years ago.... Sports by Brooks has an interesting feature on Courtney Force, Ashley's younger sister, and the newest drag racer in the Force Family...and she is a cutie, and that will definitely help the NHRA fan base. Look what Danica Patrick did for the Indy Series!! 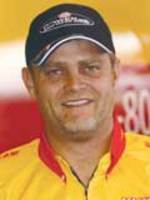 a Sad Day in Sports.......NHRA Funny Car Driver Scott Kalitta was killed today during qualifying at the Lucas Oil NHRA SuperNationals at Old Bridge Township Raceway Park. Attendees said Kalitta's Toyota Solara was traveling at an estimated speed of 300 mph when the crash occurred. 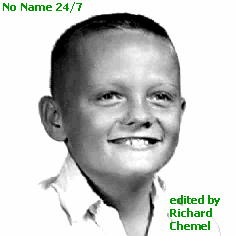 Scott had 18 NHRA Funny Car Victories and was 46 years old, and the son of crew chief and NHRA veteran Connie Kalitta, and cousin Doug Kalitta, an NHRA Driver. Ashley Force Becomes 1st Female to Win a NHRA Funny Car Race- Beats her Dad, John Force in Finals! One week after Danica Patrick becomes the first female to win an Indy Race, Ashley Force becomes the first Woman to win the NHRA funny car Race. 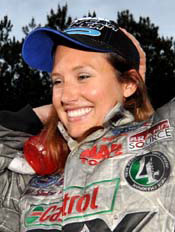 Ashley, always the competitor beat her father John Force in the Finals in Commerce, GA. Ashley races for John Force racing, and was racing in her 27th Pro Race. The race began with John Force in the left lane, which saw many a competitor have problems, but Ashely took off, and couldn't be beat. John Force was looking for his 1000th Career victory, but observing Force over the years, had to be quite happy to be beaten by his daughter. John Force is lucky to be alive, after his car crashed the wall at 300 MPH. Spending 27 days has humbled Force, but he will be at the last two NHRA events, rooting his daughter, and son-in-law, both drivers for John Force Racing. Still unable to grip a steering wheel, Force will have months of rehab ahead of him. John Force Racing has an update on John Force and updates daily. He wants to race again this year, but that is John Force! There are many Local TV interviews, and this one with CBS was one of the longest and the best. NHRA Legend John Force underwent successful surgery at Baylor University Hospital and the injuries were less damaging than at first expected. With that being said, the star of his own A&E reality series will not race in the 3 remaining NHRA season races. ESPN Just posted Video from John Force's NHRA accident today while racing Kenny Bernstein. A & E Reality Star and NHRA Drag Racing Champion John Force Injured in Raceway Accident! Drag racing's biggest star, 14-time champion John Force, was alert and conscious after suffering two broken legs and a broken arm in a nasty top-end collision Sunday with fellow straight-line legend Kenny Bernstein in the second round of eliminations at the O'Reilly NHRA Fall Nationals at Texas Motorplex outisde of Dallas. Force has been airlifted to Baylor University Medical Center in Dallas for further treatment. Their Funny Cars got together just as they crossed the finish line with Bernstein drifting over into Force's lane after clipping the final timing cone. The numbers, although unofficial, showed Force crossing with a 4.863 at 315.34 mph to Bernstein's 4.904 at 312.06 mph. Force with his wife and family have a reality series on A & E, Driving Force, which follows them on thru NHRA racing and their daily lives.